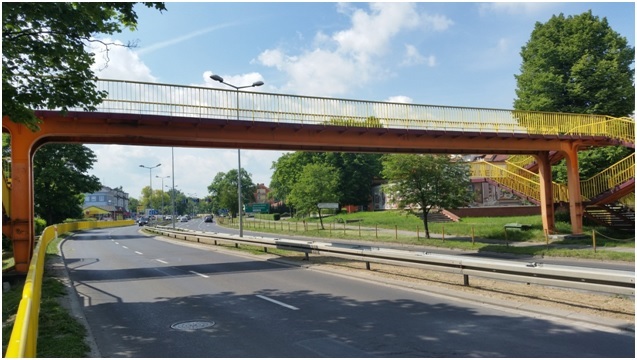 By the end of May, BatiPlus engineers finished rendering service for the Wroclaw Division of the General Directorate of National Roads and Motorways. The service included the verification of documentation as well as the investment supervision of the repair of the footbridge over the trunk road no. 30 in Lubań. 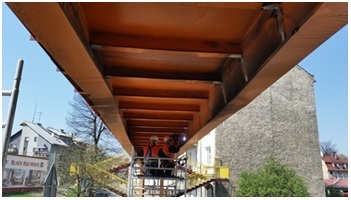 The footbridge was hit by an oversize vehicle, which resulted in the deformation of its supporting structure and reduced its bearing capacity and durability. The supervised works comprised replacing the damaged elements and reinforcing the load bearing structure. 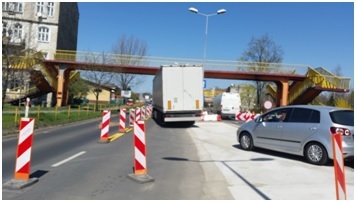 The works were performed without interrupting the traffic, which required an efficient organization in order to minimize inconveniences for road users. The service also includes the supervision of fixing faults appearing during the warranty period.